Past & Curious: Beauty-Queen Bonanza, The Day the Magic Died & More! PEOPLE: Stars you never knew were beauty queens ... and a few you probably knew about all along! BOY CULTURE: An iconic NYC movie theater may be facing closure — because one single tenant who chose to live above it is bitchin' about the noise! DO YOU REMEMBER? : Nostalgic chores that kids today would NOT recognize. THE FILM EXPERIENCE: "Do They Know It's Christmas?" (1984) was recorded 34 years ago today, November 25. It's still stirring, in spitte of a few sketchy lyrics that haven't aged well. Especially sad to see fluffy, young George Michael (1963-2016) wailing his heart out in the music video. HUFF POST: World-of-magic legend Ricky Jay has died at 72. EW: Tom Baker, 84, is publishing his first novel — and it's a reworking of a never-made Doctor Who feature. 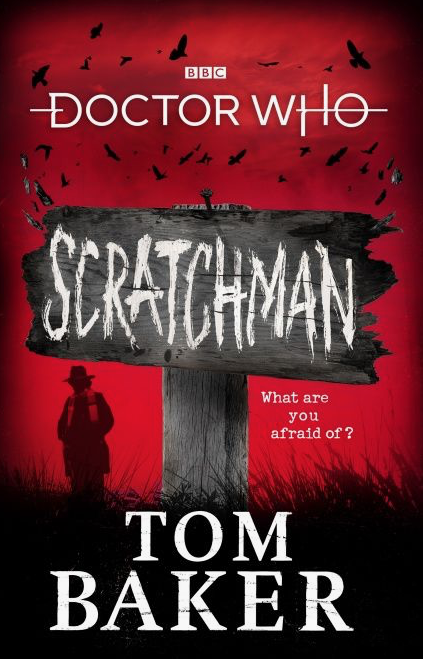 Scratchman is out January 24, 2019. He was Doctor Who on the eternal series from 1974-1981. NEW YORKER: A vintage Updike (1932-2009) story, "Snowing in Greenwich Village." TWITTER: The classic tune "Stand by Me" (1961) by Ben E. King (1938-2015) has been given a rather ... interesting ... makeover by some rabid Trump (b. 1946) supporters.